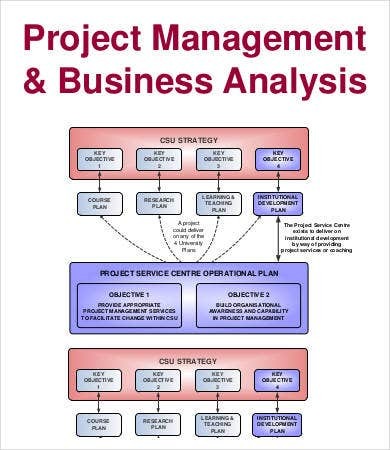 A project analysis can be deployed before a project gets off the ground or after it lands back down. 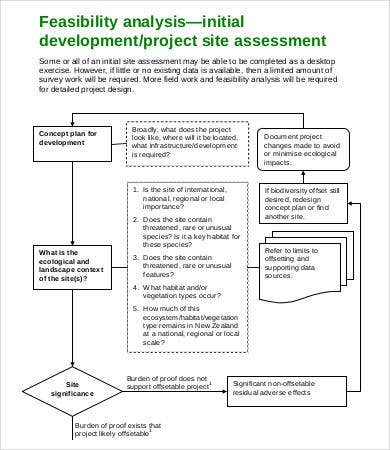 When needed, project analysis and appraisal happens even after significant points in a project’s lifespan, to make sure everything is on track or to troubleshoot some issue that springs up. 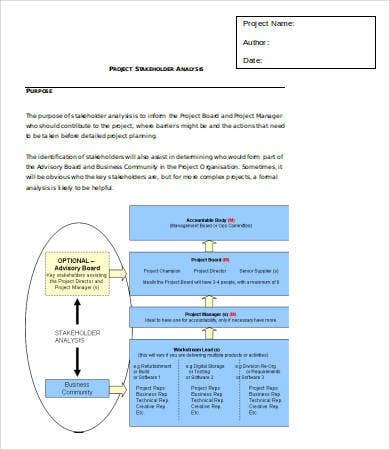 These analysis templates are definitely very useful toward your end goal, and since they are available as Word and PDF files, they can be tailored to your project needs. 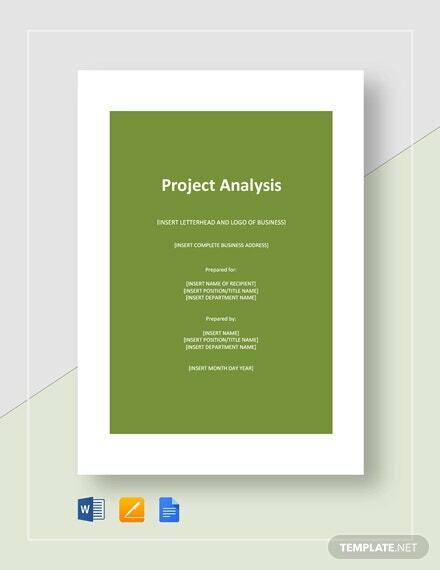 Whether you’re assessing project status, financial situation, economic impact, market fit, or what have you, there is an Analysis Template here for most needs you might have. 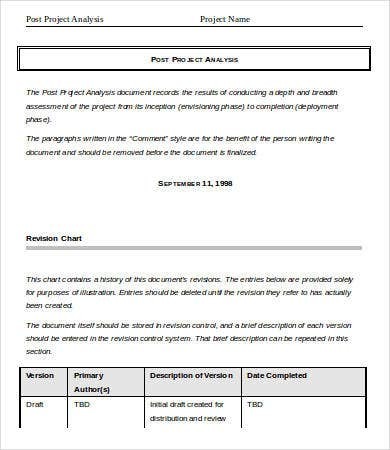 When Do I Need a Project Analysis Report? 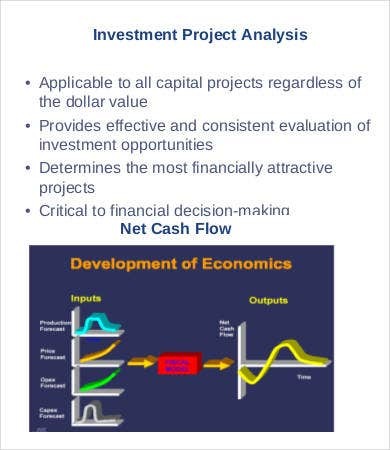 The recommended frequency of a project analysis will vary on a project-by-project basis. 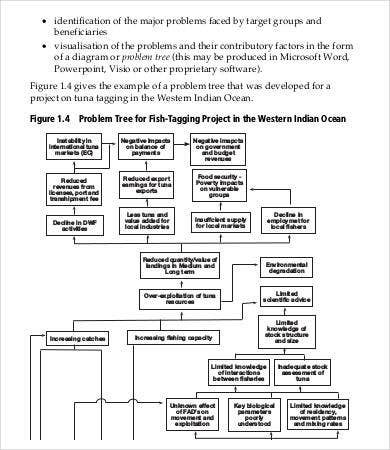 A short-term to medium-term project may need only one or two overall assessments: one at the beginning (usually called a feasibility report) and one at the end (postmortem or impact study). 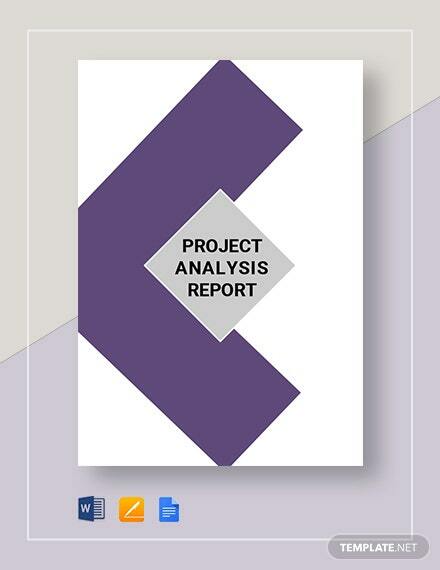 Longer-term projects may need several as needed, including the feasibility report and the end analysis. 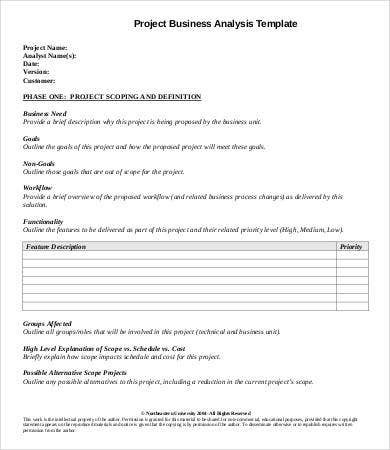 A rule of thumb: Whenever you’re tempted to call multiple group meetings or you have a nagging feeling you are getting off track, listen to your businessman’s gut and conduct a project analysis. 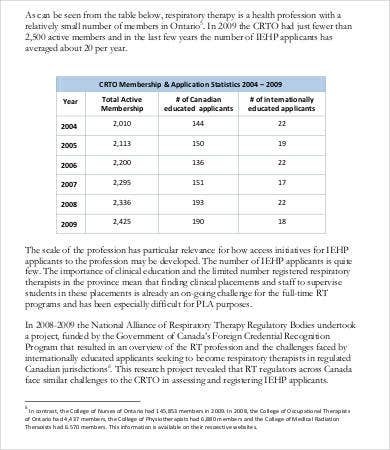 Something may be off, or something may need to be brought back into focus. 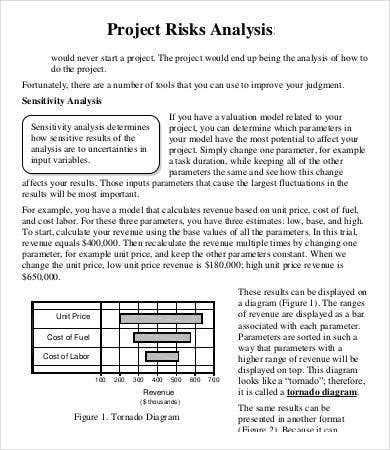 How Do I Conduct a Project Analysis? 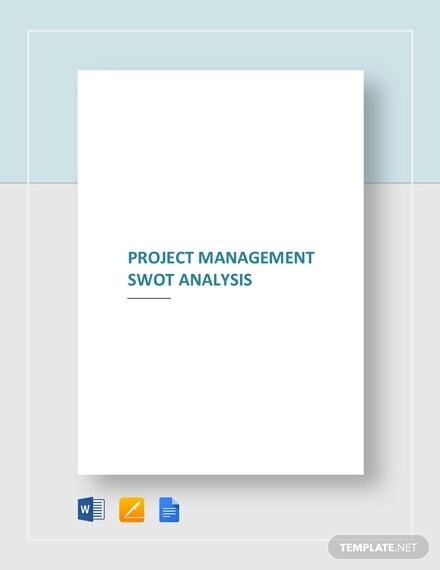 If you’ve ever done an assessment of the strengths, weaknesses, opportunities, and threats of any given venture (i.e., a SWOT analysis), you will have a good idea of what to focus on in a project analysis. 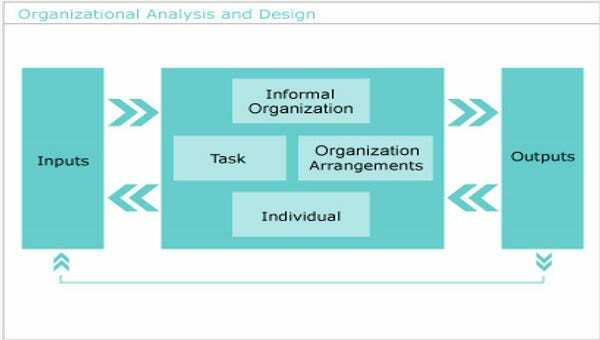 project gap analysis—to determine the difference between where the project should be and where it is. 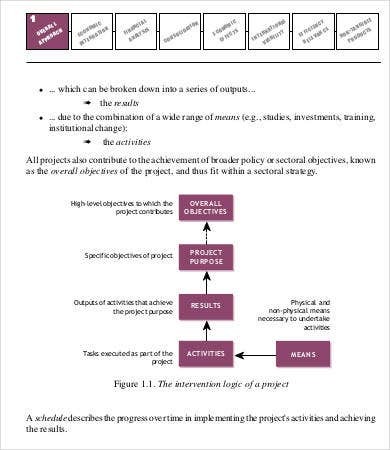 On this last point, if you want to focus on assessing gaps in performance, this can also be effectively accomplished using a Gap Analysis Template. Download any of these samples as free Word documents or PDF files for your reference.